are you buying at the wrong time? is the market about to crash? you don’t know what you are doing and so are worried at the next Royal Commission they’ll be using your investments as an example of all that is wrong with the system. I have good news and bad news for you. The bad news is that as a Nervous Investor you will never find a perfect time to invest when everyone agrees that the markets are going to go up, you know everything you need to know and its safe to pile in. The good news is that I think I can help – and we also have a podcast out on the same topic. The main factor is investor behaviour. When markets wobble, investors tend to sell or sit on their cash. When markets have been performing well, investors tend to invest their cash. From a risk perspective, this might seem reasonable to the Nervous Investor – buy when risks seem low and sell when risks seem high. But, from a return perspective, it is exactly the wrong strategy: buy high, and then sell low. 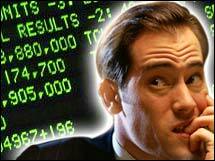 What is clear from the studies is that the average investor in the heat of the moment makes poor investment decisions. Getting perspective is difficult, especially if you rely on newspapers, financial TV or stock brokers. The first two are in the entertainment business and so creating an exciting story trumps any obligation to give you a realistic perspective. Stockbrokers are in the business of making money from turnover, so convincing you to buy one day and sell a few weeks later trumps any obligation to give you long-term advice. Confirmation bias: searching out facts that support our view rather than facts that challenge our view. For a Nervous Investor, it means looking for reasons to invest later. And the internet is a big place, I’m sure you’ll find someone who agrees with you. Planning fallacy: is our tendency to underestimate the time, costs, and risks of future actions and at the same time overestimate the benefits. For the Nervous Investor, this means “I’ll invest later after I have had time to learn the entire financial system and become knowledgeable about all of the risks”. But life gets in the way. Choice Paralysis: Too many choices overloads us. For the Nervous Investor, this is a never-ending excuse – you just need to research the choices more. Optimism bias: Humans are only correct about 80% of the time when we are “99% sure.”. The best way to overcome these biases? Create a plan and stick to it. More on that below. One of the most dangerous historical biases is judging a past decision by its ultimate outcome instead of based on the quality of the decision at the time it was made, given what was known at that time. So, don’t re-write history. Yes, the market might have risen 20% last year, but it was never a “no-brainer”, no matter how obvious it may seem with hindsight. 12 months ago there were plenty of people warning of the dangers. Over the long term, cash gives a poor return relative to other assets. In times of trouble, central banks cut interest rates which flow through to cash balances almost immediately. If you are relying on the interest payments to live then this can create problems at the worst possible point of the economic cycle. While you can mitigate somewhat by using term deposits, now you have lost the liquidity of cash and may be up for break fees if you need to use it. Most Nervous Investors will already be intimately acquainted with cash. The danger is that you own too much. The big advantage of government bonds is that in times of stress the value often (but not always, depending on the type of crisis) rises. 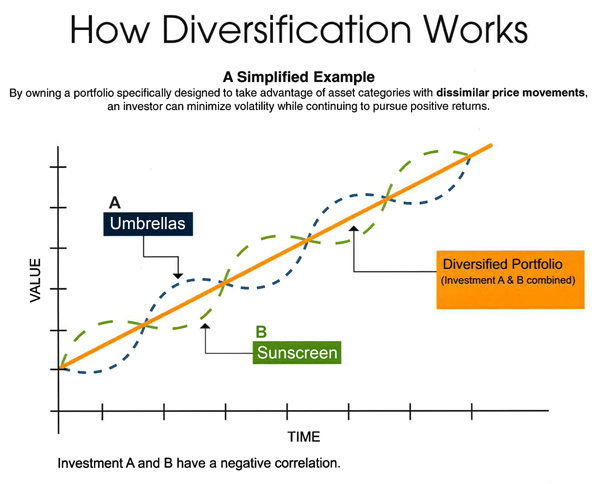 This is hugely beneficial as it provides diversification when you want it most. The main downside is that the value of the bond does change, and so bonds are riskier than cash. Over the long term, bonds perform better than cash, but not as well as stocks. 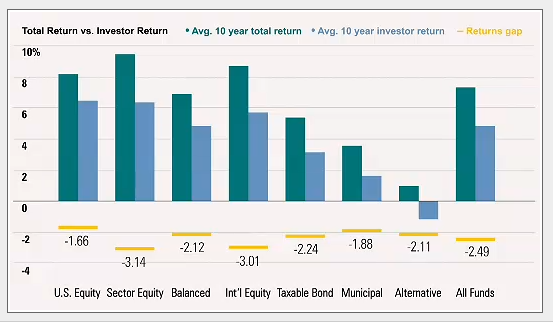 Corporate bonds provide a higher return (interest rate) than government bonds. The downside is that there is a much larger chance that the company you are investing in goes broke vs investing in government bonds. This then manifests itself in a poorer level of diversification. i.e. when the economy goes through times of stress, more companies default and even the value of corporate debt for companies that don’t default declines. This makes the returns for corporate debt more similar to stock market returns – meaning that for the Nervous Investor corporate debt is less useful. Stocks are the most volatile – in boom times they will return the most, in bust times they will lose the most. As a Nervous Investor you want to have a diversified weighting to stocks over the long term, but keeping this exposure to a level that you feel comfortable is important. Diversify. Diversify. Diversify. Very useful for ordinary investors, doubly so for a Nervous Investor. As a Nervous Investor, you need to realise that every investor is wrong at some stage. Your goal as an investor is not to make zero mistakes, its to make sure that your mistakes don’t ruin your portfolio. Accept that mistakes will be made, but we are trying to minimise the level of regret. First, evaluate the fear vs greed trade-off. If you really want to be the person at the BBQ talking about how much you made on the stock market, then you are going to have to take some risk. And some years you are going to have to own up to some big losses. For many Nervous Investor’s, this is unrealistic – abandon your dreams of being the hare and embrace the role of the tortoise. Second, don’t invest all at once. Make a plan, for some this will mean gradually investing over a few months, for others, it will mean gradually investing over a few years. Stick with your plan. You will probably be alternatively kicking yourself for not investing earlier and then berating yourself for not waiting for the market to fall. Accept that now and move on. Do you have the knowledge to make investment decisions? If not get a professional to do it. If you “just need to read up on a few more things”, then get a professional to do it for you in the meantime, just in case it takes you a few years longer than you expect. Do you have the temperament to make investment timing decisions? If not get a professional to do it. You need to stick to your plan above – as a Nervous Investor if you are unsure of your ability to do so, then leave it to the professionals. Rebalance regularly. As a Nervous Investor, this will be a painful process because it will entail selling assets that are doing well and buying assets that have done poorly. Do it anyway. For many investors, near the end of the tax year is a good time. As a Nervous Investor, you are probably already a few years overdue to “do something”. Do something is far better than doing nothing. If you are really nervous then write down a longer-term plan to start investing. – take years to be fully invested if that is what you feel comfortable with. But start now – don’t keep making excuses. Damien Klassen is Head of Investments at Nucleus Wealth.